There are few albums I can say I've listened to as consistently over the years as this one. Not that its actual content holds any deep, personal meaning to me even though most of its lyrics are actually about nostalgia. However, I do vividly recall the time when I purchased it. It was during a brief but frenzied period of my life when I was in the middle of taking a grueling, five-week course in Colorado in the Summer of 2004. On that same trip, I also bought Paul McCartney's Ram, Japan's Gentlemen Take Polaroids, and Jethro Tull's Thick as a Brick. This elite club of albums would become among my most oft-listened for years to come! But anyway. Enough of Memory Lane. If you know anything about the latter half of the 20th Century, you know there was such a thing called MTV. And if you've ever read a factoid about MTV, you probably know the first ever music video played on that channel was called "Video Killed the Radio Star" by The Buggles. People tend to say that song was prophetic of what MTV would become to the world (and I think I once said that, too). The lyrics, however, refer to something that happened in the past, when those pretty-boys of the '50s like Elvis and Johnny Mathis and Paul Anka appeared on TV and proved for the first time ever that looks were as important as the voice. Hence, the radio star had already been long dead when MTV came around. But anyway, doncha just love that song? (Actually I know someone who doesn't, but this stance confuses me.) One thing you might notice about it is that it's quite a well-polished studio piece. I mean, these guys worked painstakingly to get the instruments and mix coming in my speakers perfectly. The vocals sound like they came out of a box, which was an homage to how a lot of singers sounded on records in the olden days. Most importantly, though, is that the song is catchy. I mean, this is pop music, and so I probably wouldn't like it otherwise! This is the 100,000th time I've listened to it, and I'm still enjoying it. The title track is also clearly one of the highlights. I sort of want to describe it like a mini-pop symphony, but then I have to stop myself from making such grand statements, because I realize that the actual structure of the song is no more complicated than your average ABBA ditty (if not less-so). However, it seems like it's always popping out at me by constantly introducing new textures or sound effects. It starts out with a few sparse sound effects (basically telephone ringing noises and brief, garbled bursts of someone calling out) before a piano and a repetitive, synth-pop bass and drumbeat comes on. Perhaps my favorite enhancement to the song is those epic though soft aaah vocals that build up to the chorus. “Kid Dynamo” is another keeper; it's about a man who reminisces on one of his childhood fantasies--a kid superhero, no less. Its melody is infectious and its atmosphere is stormy and huge, like superhero music should sound. “Clean, Clean” is the closest thing this album has to rock 'n' roll, because it has fuzz guitar flaring viciously in the background. But then that goofy, almost circus-like synth-bass solo comes in during the final third to shatter those illusions. “Elstree” has always been a particular favorite of mine (in an album that consists of nothing but favorites). Expect more of those good old, new wave textures, but it uses a very feathery and soft piano and has one of those melodies that's practically been stuck in my head since the first day I've heard it. “Astroboy (Proles on Parade)” and “I Love You (Miss Robot)” are the album's two slower, more atmospheric songs, and--just like their danceable, new wave brethren--they have interesting melodies and were meticulously put together. I don't wish to alarm you, but the opening song in The Buggles' second (and ultimately final) release starts off sounding like Styx. Particularly their “Great White Hope.” Even more alarming is that I like the Styx song far more! (You see? I do like Styx. Now why do I get so many messages from people claiming I don't?) Also, if you're hoping that The Buggles' second album would in any way recreate the genius chemistry of their first, then this is me bursting your bubble: Pop. From a commercial standpoint, this album was a huge disappointment, because it sold very little. From an artistic standpoint, this album also disappoints, because it doesn't contain the sort of songs that dazzle me beyond my wildest dreams. I'd also say this is a good example of an album that didn't need to be made. 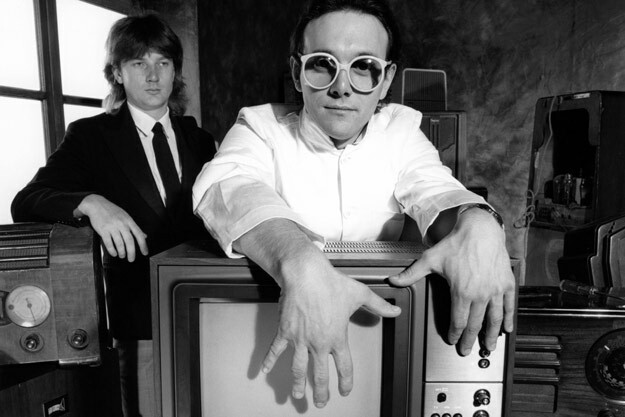 At this point in The Buggles' history, Geoff Downes and Trevor Horn had already found greener pastures. The previous year, they had found worldwide fame and fortune for being fully functional members of Yes and even participated heavily in the songwriting for their 1980 comeback, Drama. In 1981—the year this album was made—Downes was already onto co-founding what would become the massively popular AOR super-group Asia, and Trevor Horn was getting offers left and right for highly lucrative producing gigs. What would have possessed them to continue to piddle around with their silly old art-rock act is anyone's guess. Of course I enjoy this album, so I'm ultimately glad they did! “Beatnik” is a mid-paced shuffle with a fun melody and quirky instrumentation. (Maybe I should stop using “quirky” to describe these songs. All of them are quirky.) I mean, you've got to check out that moon-jazz synth solo at the two-minute mark. “Vermillion Sands” is a slower paced song that is very similar to “I Love You (Miss Robot).” Its atmosphere is far less dense and I'm not quite as drawn into it. But it's also not as serious and features plenty of odd instrumental trinkets that takes a few listens really soak in. The moments that rather confuse me are when it pauses for these goofy, out-of-tune synth-jazz-jingles. They're not horrible, but I don't get it. “Lenny” sounds like it could have been an Asia song with those HUGE power chords. 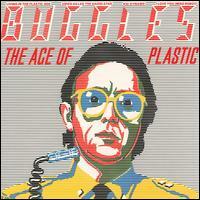 But then those silly vocals and fluttering synthesizers come in for the chorus, which makes it unquestionably Buggles. 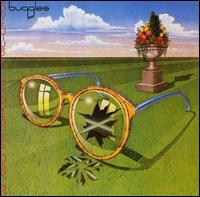 Ah yes, Buggles. Gotta love 'em. As unnecessary as this sequel was, I do wish they stuck around longer.